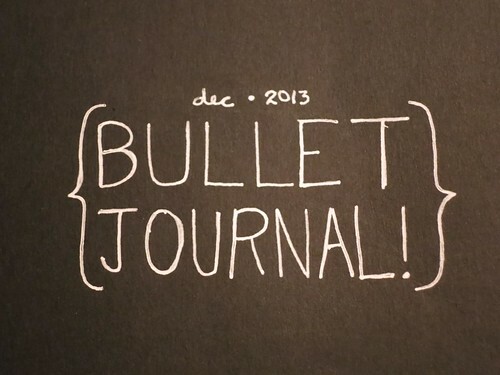 I first heard of the Bullet Journal on Miss Zoot's blog. She started talking it up this fall and had begun out and out evangelizing for the concept. And it intrigued me. After all, my work life was tracked with endless post its. Each neatly filled with categorized checkboxes. And, of late, I had been grabbing more post its for daily lists. And then there were the post its for voicemails, quick discussions with my supervisor, notes from talking with the team...all littered across my desk, getting increasingly unsticky, the corners stabbing me in the fore-arms. And that was my "organized" approach. My not-work to-dos were tracked in email drafts, on scraps of paper, and, more often than not, my head. Which is fine if you don't mind nearly falling asleep and then waking up with a start realizing "I DIDN'T DO X!". I used to be a daily planner sort of lady. In college everything went into the planner--first paper, then digital. When I got to grad school though...it became unnecessary. My once busy calendar slowed to a steady rhythm of regular classes, my digital planner died and I never really replaced it. We moved and our social life had to start over from scratch. In the last couple of years though, it has vigorously taken root. I needed something better. 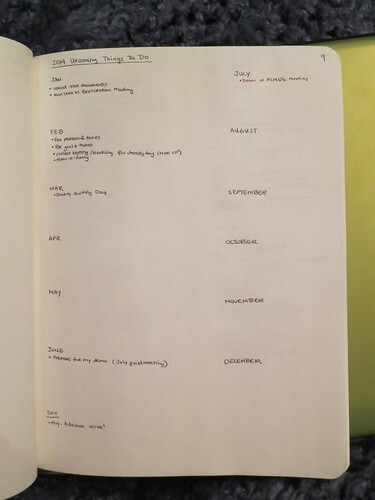 So late last year, I started a bullet journal. It took me awhile to fully commit--December was just So Very Busy--but once I did, I fell in love. I read these started in second grade. 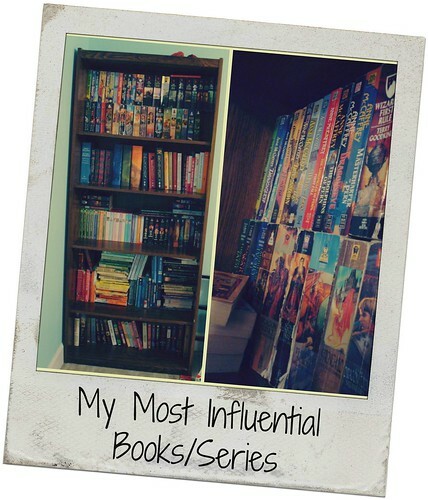 They were my first chapter books and I was hooked. I outgrew them long before I reached middle school and eventually donated my entire collection to the local library to share the love. I poached a lot of books of my parent's bookshelves as a kid so I was fairly well versed in Sci-Fi (a favorite of my dad's), but finding Ann McCaffery's books introduced me to fantasy and dragons. My cousin gave this to me for Christmas. At the time I pretty much read fantasy and only fantasy, so I was sure I would hate it. I started flipping through it because I was bored and inhaled it. My paperback copy is well worn. I haven't read it through in years, I don't know how it would strike me now, but I loved it then. My mom bought me this one based solely on the fact that it had "Dragon" in the title. A six book series of high fantasy it was politics! and intrigue! A strong female main character! I loved them in high school. I haven't dared re-read them as an adult though, because if they don't hold up, I'm going to be crushed. I almost didn't think of this one, because it was the A&E movie that I was first introduced to. My mom and I would co-opt the TV and watch the mini-series each time it was aired. I was in my senior year of high school before I bought a copy of the book. I can reread this endlessly. I branched out to more of Austen's writing due to the brilliant adaptation of Pride and Prejudice that aired last year, The Lizzie Bennet Diaries. I ended up with a copy of this sometime in college. I don't remember exactly when, how, or why, but that book was very helpful in getting me launched in the workforce. I've re-read it countless times. On my last re-read it struck me as rather tired and overly strict, which is a good sign that I've outgrown it and no longer need the advice, but I would still recommend it for anyone looking to get the lay of the land in a professional job. A friend recommended this a couple of years ago and her arguments got me back to the local library and reading again. Absolutely pivotal for me. Both books discuss how toxic our reward obsessed culture is to fostering initiative and creativity. I found Unconditional Parenting first, but Punished by Rewards is broader, also covering schools and workplaces. These are books that I feel like I need to read over and over, and that I will pull something different out of each time. A story of the "underground railroad" connecting women to abortion providers in Chicago pre- Roe vs Wade. A fascinating study on the sexism inherent in the medical establishment, the lengths women will go to to protect/help each other, and the varied and complex events that lead women to seek abortions. The story of a midwife operating in San Francisco tells about the varied births she attended. Gave me an amazing confidence in the capabilities of the human body and a better appreciation for the breadth of personal experiences.